Finally! Finally I found a restaurant I feel comfortable in. After a long day walking to town and back. Of going to the Gringo Market. That's a weekly event where vendors bring their wares. You'll find everything from produce, to prepared food items, to crafts, to handmade potions. And even a vendor selling stun guns. We decided to dine at RetroGusto. This is an Italian-themed restaurant that's only three months old. The chef is from Italy and his wife, a gracious hostess, hails from Shanghai. The decor made me feel right at home. It was warm wood, loftly, almost church-like feeling. But simple with nice lighting. The wine list was not extensive but such a relief from the red wine or white wine, we saw printed on most menus. That's it just two choices, no hint of varietal. Here, we opted for a Chilean cabernet-carminere blend that was just slightly chilled. Perfect. Risotto. 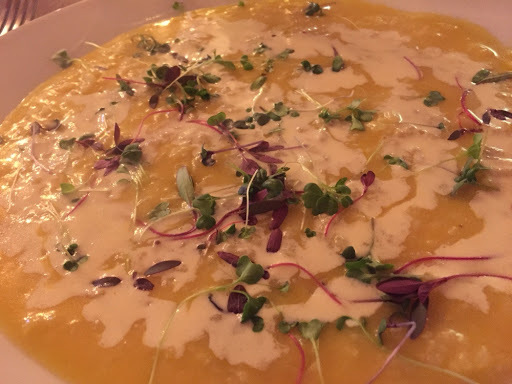 After perusing the menu, we decided to share a pumpkin risotto. And it was soupy, like I prefer. A delight to see and defintely foodgasmic. 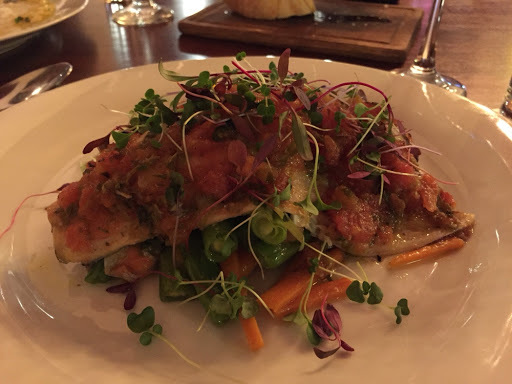 And we shared a delicately sautéed corvino, skin on, with a tomato sauce and microgreens over a bed of steamed vegetables which included the best green beans I've ever had. And you may know that I'm not one to shy away from dessert, so I had a white chocolate floral essence panna cotta with a mango sauce. Heavenly! And the chef gave me a sample of a digestif--a passionfruiut liqueur similar to a limoncello. Now the other best thing about Boquete. Casa Penelope. Through AirBnB, we got a room with Penny, an ex-pat, mover and shaker, who knows everyone! We asked her if she's rhe unofficial mayor of the ex-pat community. She smiled. "Yes." Not only did she pick us up from the bus and drop us off again when it was time to go, but there were happy hour ttimes on her back patio with her two lovely dogs Peanut and Kia. Between Penny and RetroGusto, I certainly want to go back. 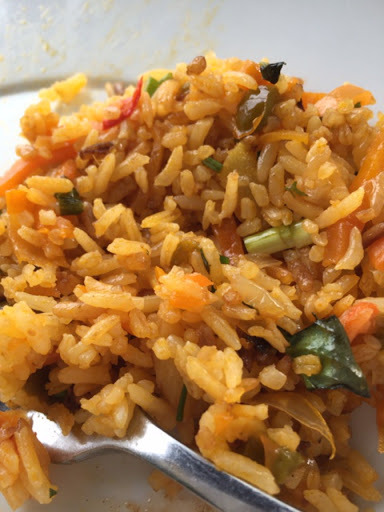 One American ex-pat that we met told us something about the cuisine of Panama. 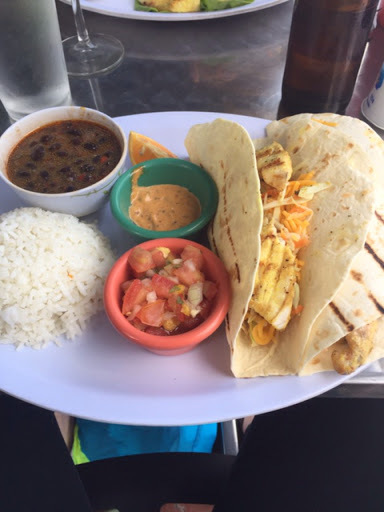 "You don't come to Panama for the food," she said. And, after exploring a bit, we can concur. Sadly in quest of a foodgasm, we went to the oldest and one of the classiest hotels in Boquete. The Panamonte We were assured it would be a great meal. We decided to start with a couple of appetizers. Ah. As they came to the table we were delighted with the presentation. First the Corvina Ceviche Panamonte style. Clearly the presentation was way ahead of that Fish Market sea bass ceviche of a couple of days ago. We dug in, and . . . Were disappointed. Pretty bland. Not much of any kick to it. Understated flavors. The next appetizer. Maybe that would be better. 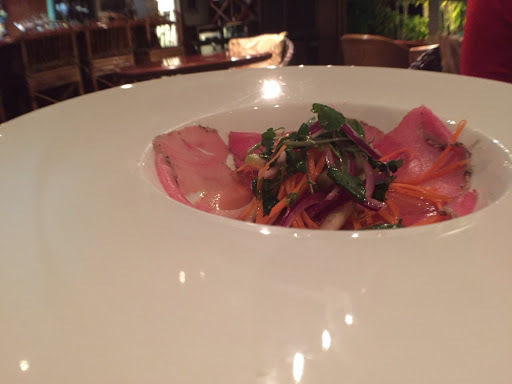 The yellow fin tuna tiradito, cracked pepper and sesame, apple-microgreen salad. And the presentation did not disappoint. It was an odd mix and the tuna tasted strange. Not quite like tuna I'd ever had. Well, after those two dishes, we gave up. Decided not even to try an entree. But I did scathe dessert menu. Oh, yes. 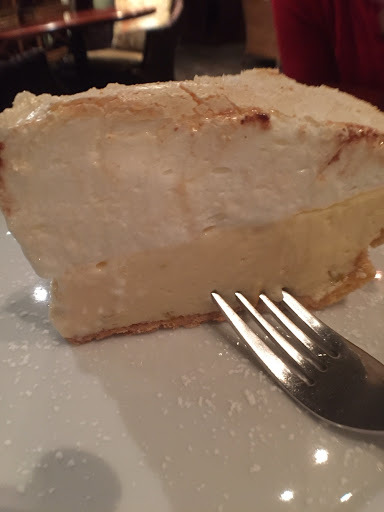 A lemon pie. I never can resist that. Good news! It lived up to the hype. I couldn't eat it all but you can bet I took the rest home with me. But my discriminating Chicago palate has not been satisfied. I love coffee. And since Panama is a pretty big coffee producer, I decided I wanted to see it first hand. 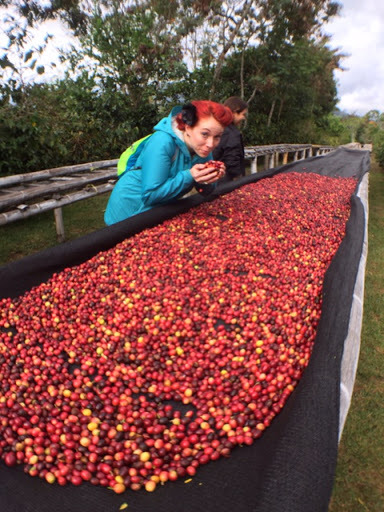 I booked a tour with the people who produce Cafes de la Luna. One of the most casual tours. Very intimate. Only 5 of us and a very personable and knowledgable tour guide--a self proclaimed coffee geek. Oh, and did I mention, the farm owner picked us up for the tour at the AirBnB home where we were staying. First off we learned about the economics and ethics of coffee and how fair trafe doesn't even scratch the surface of equity issue. Direct trade is the new fair trade, by the way. Direct trade cuts out the middlemen. I was immeddiately impressed that the farm owner provides clean and nice housing for coffee pickers. And works hard to give them minimum wage. That's the problem right now for the small coffee farmer who would lose money if they paid minimum wage to coffee pickers. And the small farms don't have the resources usually to roast their own, but only sell the harvested beans. For much less. At Finca Dos Jefes, the owner has opted to go organic and biodynamic. He grows arabica coffee. He also uses the dry method of processing the beans. The coffee cherries are spread out and dried in the sun. A process that takes at least a month or more. One interesting discovery--that throughout the small farm, other kinds of trees are planted that help manage the nitrogen in the soil, and enhance pollination. 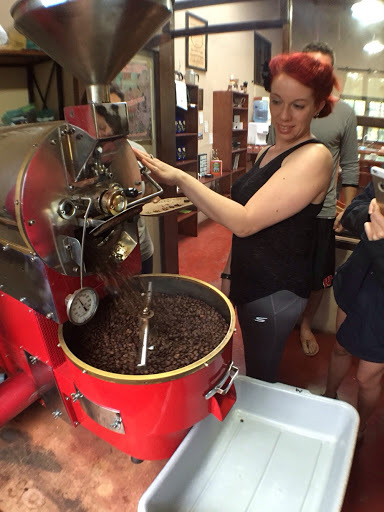 A great part of the tour was at the end, where I got to roast the beans. This is a process that takes 15 minuters or so. And involves monitoring temperature and sampling the beans every few minutes to check on their progress. But the best part of course--the tasting. Ahh. What I was waiting for. But the most interesting discovery is that they are using the dried coffee casing around the beans to create a new drink--coffee tea. Only 20 % of the caffeine of coffee but a lovely taste and new possibilities for me to explore. It was an eye opening experience, in more ways than one. Planes, Trains, and . . . . Taxis! So today we got up early to go to Boquete via airplane, bus and two crazy cab rides. I was very happy to find a coffee shop open at the tiny domestic airport. I really love this country's cafe con leche. Strong and creamy. Unfortunately my mother has yet to find decaf here or anyone who understands what it is. She had to settle for a tea con leche. Panama is definitely a pro-caffeine country and I personally am fine with that. So after finally landing in Boquete, we are both starving and looking for lunch. After looking a few menus, we found a place with the sign Fish Tacos hanging out front. Well it was food, but nothing to amazing. The fish was Amberjack and was amazing, th rest of it was so so. 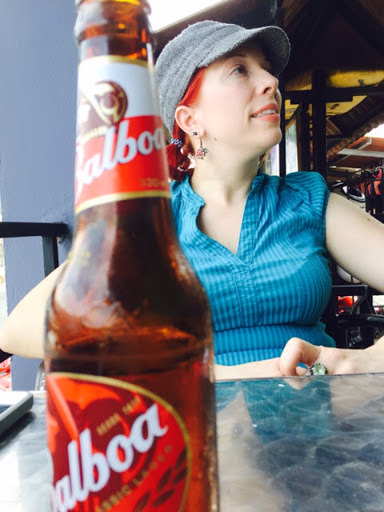 But I did get to wash it down with a nice local beer called Balboa. 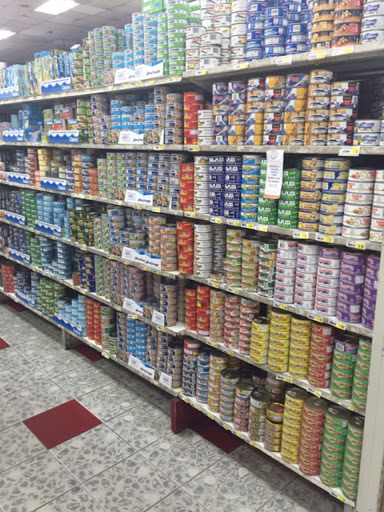 And while food shopping to make our own simple meal, we ran into the largest display of canned tuna that I've ever seen. So many brands, flavors and qualities. Very impressive! Still on the quest for great food. No Diablos Rojos today. First stop the Miraflores Locks of the Panama Canal. Our cab driver stopped at a gas station and I got a café con leche. 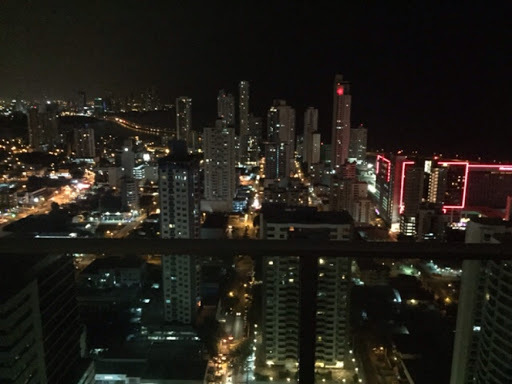 Now in Panama, the coffee is essentially espresso with steamed milk. More like a small latte with more robust coffee flavor. The cup size is small but very satisfying. No food at the Canal. Just a profound appreciation for what and encredible engineering feat this was and is (they are adding two more locks for larger ships). But we were hungry so we returned to Casco Viejo. We’d read about Café Rene. And got dropped off near where it was. But then we set out for it we could not find it. It took asking five people where it was until we found it. Panama City doesn't do well with street names or numberss. Nothing amazing. A prix fixe menu. A cornmeal empada type appetizer, a salad, a rice dish that was lovely, but left us wondering, what were those julienned orange strips. Ashley voted for some kind of squash. I said maybe a pepper that had been peeled. No answer, but it was tasty. And the fish, pretty so so. Yum and a couple of takeaway thoughts. 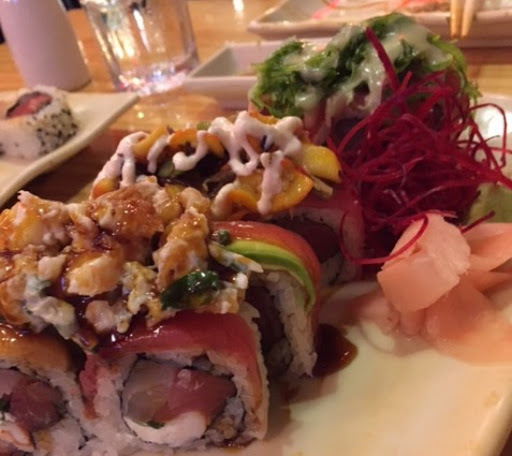 The size of the sushi rolls were amazing. They were fat. And stuffed with ingredients. 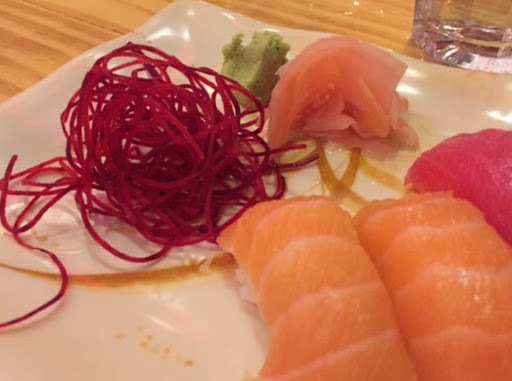 But, Sushi Mike never has any competition in my book. No place equals Tanoshi in my book. Time to explore. 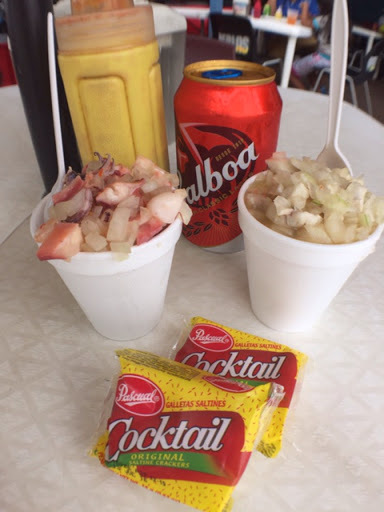 After a trip to The Fish Market and a sampling of ceviche. So we trekked up and down the calles of Casco Viejo. It was interesting to note the decaying and crumbling buildings right next to renovated buildings. Many places were in the process of renovation. The streets are incredibly narrow. We found out later that the government built an extensive bridge, actually a causeway, around this neighborhood of the city so as to keep that area undisturbed. And he decaying buildings were being restored, not razed. How not like Chicago. 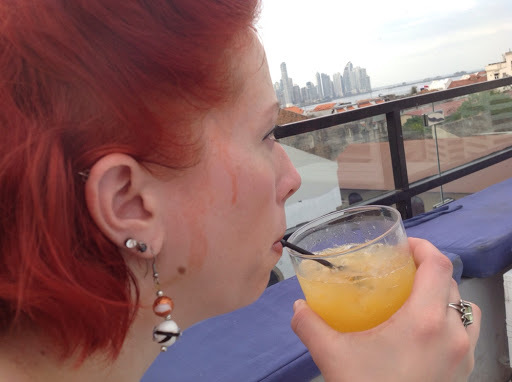 We kept well hydrated but I wanted a more serious beverage, so we climbed up to a rooftop bar. No menu, so we asked for a drink with a local spirit. And that turned out to be Seco Herrerano. This is made from sugar cane, and can be used in drinks like either rum or vodka.. They added some passion fruit juice, a little lime. Ah, yes. Easy to sit and sip and feel the breeze after a hot and humid day. Dinner? Mom said she’d cook for me. Something simple. We found a grocery store. And we ended up with a cheese mushroom tomato omelet with fried arepas on the side. These are made with cornmeal and are rather like very thick corn tortillas, but tastier. We ate and drank a little wine, looking over the lights of the city. But the arepas kept calling to me. They would make lovely appetizers. Little rounds of arepas topped with . . . 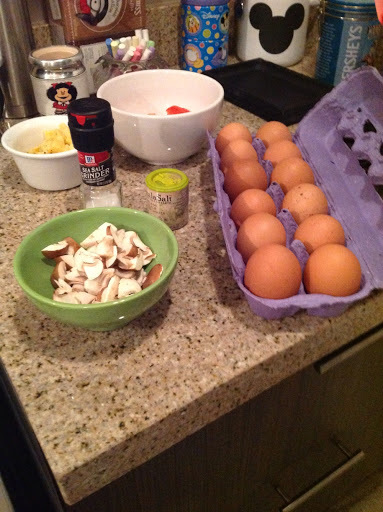 But I’m tired now, so I’m going to let those recipe ideas form in my head. I confess. I don't like reading directions. But before you go off on me and question how I can be a chef if I can't want to read directions, let me tell you something. It's not my fault. It's my mothers. She modeled for me for years this inclination to try and do something first before failing and then having to read directions. What can I say. It's probably in my DNA. So, we started out to explore the city. Now, the guidebooks say you can find maps easily. Anywhere. Maybe that’s if you are staying in hotels. But we are in an AirBnB and there’s no map around. So we set up with only an app on my phone and a general map from a guidebook. First coffee. Somehow, the concept of iced coffee I didn’t communicate very well, so I got lukewarm coffee. But it did the trick. Now we needed to buy a bus pass. After three stores, each saying they didn’t sell them, we found a kind employee who sold us his pass and the money on it. It’s easy to add money but not so easy to get the beginning card. Oh but we were starved. So we bumbled around some more. Cerrando. Cerrando. And the ones that were open didn’t quite look right. Ah. Here’s one. A little buffet. So we heaped our plates with rice and beans (makes me think of the stew beans and rice from Belize) and coleslaw. 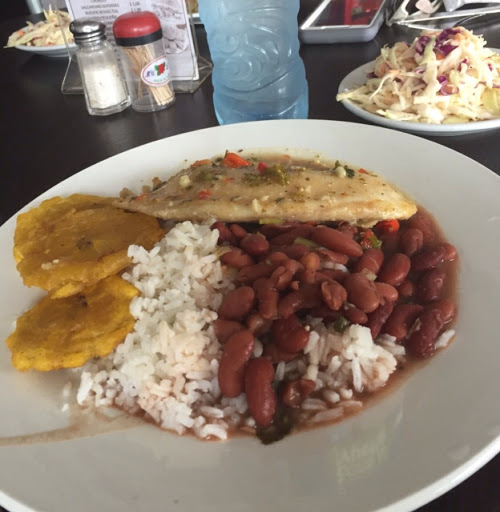 In addition there were fried plantains and baked tilapia. By the time we finished, we discovered this was a VERY popular place, since they also offered the buffet as takeout. The lunch crowd was there and the line went out the door. Very satisfying and our tummies were full. Now we could navigate the city. Oh, and what we discovered is that Panama City seems to have very narrow sidewalks. Or none. The bus. We needed to find the main thoroughfare and a bus that would take us to Casco Vieja, the old town of Panama City. And then I spotted it. A gaudily painted old US schoolbus. “Run,” I told my mom. “We’ve got to get this.” It’s one of a dying breed. The Diablos Rojos is a line of brightly painted old buses, not very safe, but extremely colorful. And on top of the décor, there is pounding music, dare devil driving, and some honks and yells for surrounding drivers. Ah. We made it. Sat back and vibrated with the music as we weaved in and out of traffic. And we seemed to have communicated well enough about where we were headed, because we end up across the very busy street from The Fish Market. Ah. So much fish. Table and tables of fish being sold. Beautiful red snapper, shrimp, mackerel . . . and lots of other fish I didn’t quite identify. It was iced. Sort of. Certainly not up to the sanitation requirements I learned in culinary school. But it was FRESH. 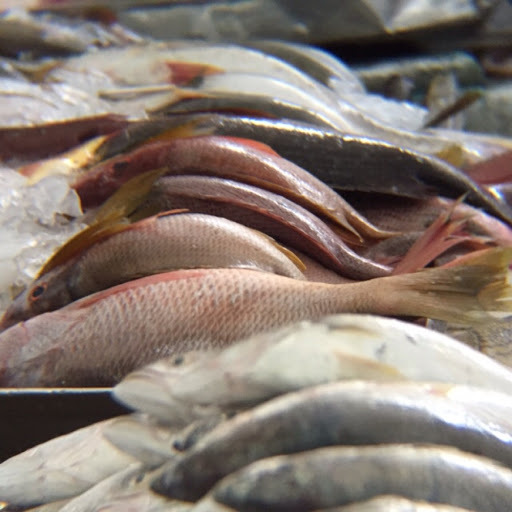 The best part of the fish market is outside. Nestled up to the perimeter are loads of tiny restaurants. Serving, or course, fish. Cooked. Or as ceviche. 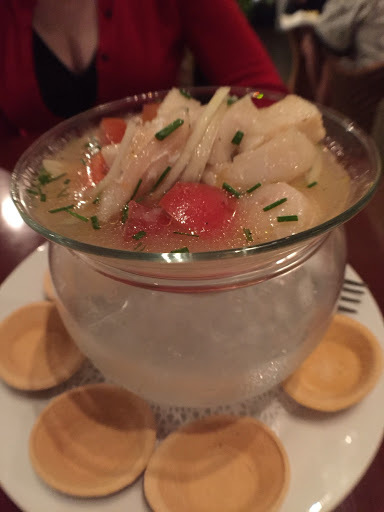 We settled on a cup of sea bass ceviche (one dollar) and a mixed fish ceviche (two dollars). That plus a one dollar beer. What could be better for a quick snack. Ready now to go off and explore Casco Vieja. But we settled on a fresh foods bistro and found some vegetarian soups and fresh salads. I made the best choice: a vegetarian chili and a fresh chopped kale sald with bruseels sprouts, garbanzo beans, quinoa, and dried cranberries. Ahhhh. Real food. In an airport. And we listen to live piano music (yes, in a food court) then migrate to the lovely bar made out of cocrete and glass chards. We settled on a prosecco and a viognier. Life is good. We are cleansing our palate. Ready for the tastes and treasures of Panama.